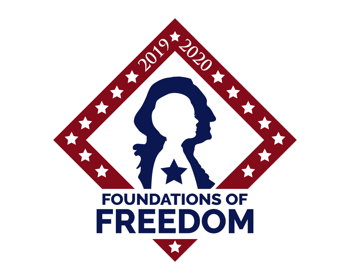 The following are the eligibility requirements under the National Bylaws to become a member of the National Society of the Children of the American Revolution. Join C.A.R. 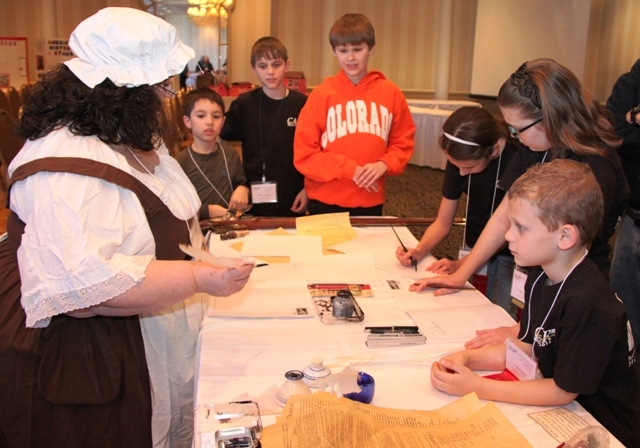 and join a legacy of modern-day patriots who honor the past, celebrate the present, and train the leaders of tomorrow! From the Membership Committee: ALL HANDS ON DECK! On September 13-14, 1814, Francis Scott Key was aboard the British ship HMS Tonnant. During that night, he watched the bombs bursting in air as the British attacked Fort McHenry. He watched through the night to see if the Star-Spangled Banner still would be flying. It is now 2014, two hundred years later, and we are aboard the Membership. We are watching to see if the C.A.R. Banner still will be flying over our societies all across our nation in the future. This is a call for All Hands on Deck to secure the Member-Ship. Each member and each senior, each society in every state, and every sponsoring DAR, SAR, and S.R. organization should hear the call to help! Speak about C.A.R. to friends and family, share the experiences you have had, and brag about the accomplishments that have been achieved. C.A.R. members support the military and make a difference in lives of military families. C.A.R. members practice conservation, clean grave yards, and build bridges. C.A.R. members help libraries and museums. The list of endeavors and celebrations in which C.A.R. members have participated is long, and the difference they have made is immeasurable. Will this success continue? Will the C.A.R. Banner yet wave? We need your help. Please heed the call of All Hands on Deck! Since 1895, C.A.R. members and senior leaders have provided a bridge between the present and the past since the founding of N.S.C.A.R. on April 5, 1895. In 1895, it was the dream of Harriett Mulford Lothrop, the Regent of the Old Concord Chapter, NSDAR that a Children’s Society be formed. Mrs. Lothrop remained the first President from 1895 until 1901. During her tenure as President, Mrs. Lothrop saw the membership grow during the first year to 318 members. Today N.S.C.A.R. is proud of it over 9,000 members. Mrs. Grover Cleveland, President and Mrs. William McKinley, President and Mrs. Theodore Roosevelt, President and Mrs. William Howard Taft, Mrs. Warren G. Harding, Mrs. Calvin Coolidge, Mrs. Herbert Hoover, Mrs. Franklin Delano Roosevelt, Mrs. Harry S Truman, Mrs. Dwight D. Eisenhower and Mrs. Lyndon B. Johnson have received C. A. R. members at the White House. In 1997 Mrs. Eleanor Smallwood Niebell, wrote Centennial Plus One, the history of the society. 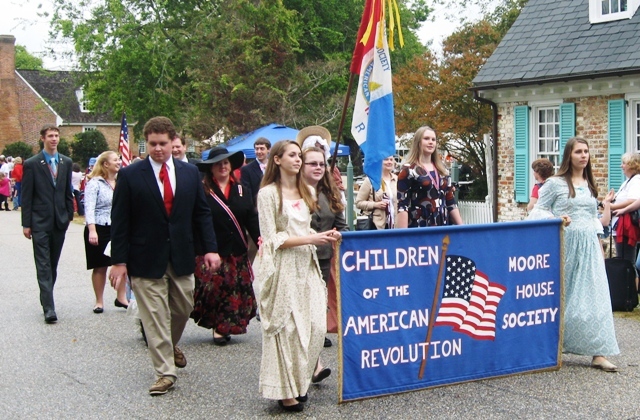 The book is a chronological picture of the first hundred years of the National Society of the Children of the American Revolution. In 1928, N.S.C.A.R. assumed the obligation of erecting a suitable monument to the Unknown Soldier of the Revolutionary War buried on the grounds of the Old Presbyterian Meeting House in Alexandria, Virginia. Although George Washington was a member of Christ Church in Alexandria, his memorial service was conducted at the Old Presbyterian Meeting House. The December weather made walking the unpaved streets to Christ Church difficult. 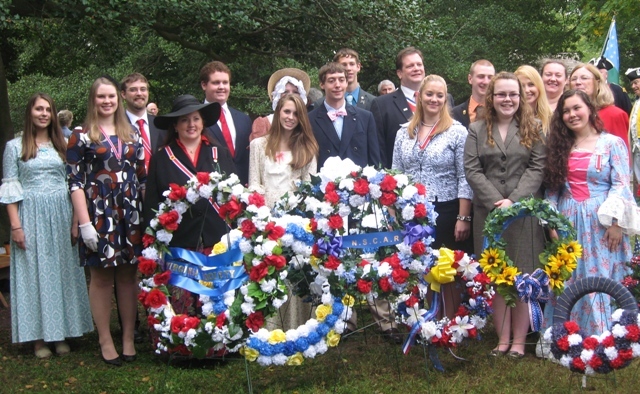 The society continues to maintain the site and honors this fallen Patriot in a fitting ceremony each year during their national convention. Support for active military personnel and veterans has been a priority since the founding of the society. In 1898, C.A.R. members raised money for the Spanish-American War Relief Fund. The following year they sent medals to C.A.R. members serving in the war. C.A.R. 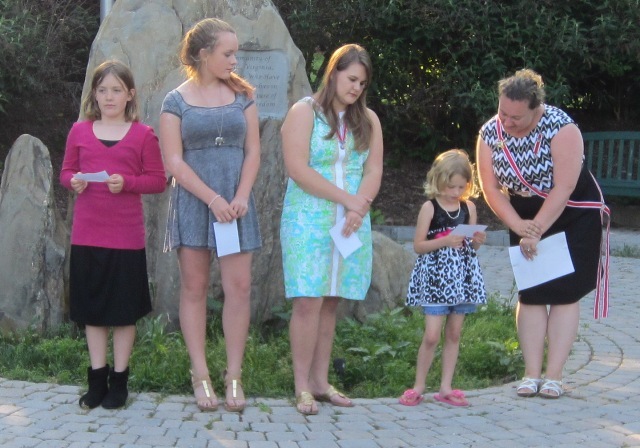 members serving in World War I were honored by having their names placed on a bronze plaque. The national society's contributions during World War II were numerous and varied. They included a bed to Children's Hospital in D.C., an ambulance for Red Cross use on Staten Island, funding of a Jeep for the War Department, adoption of six children in war-torn countries and the purchase of War Bonds and stamps. 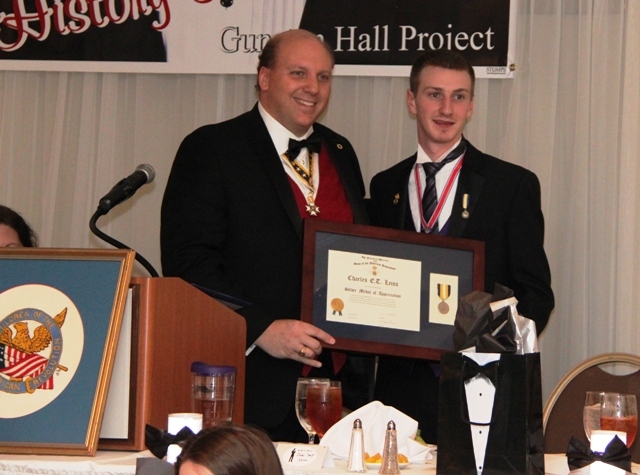 In recent history, the national society worked to raise funds for the Fisher House Foundation. This organization provides a "home away from home" for military families to be close to a loved one during hospitalization for illness, disease or injury. C.A.R. members continue to show their concern for children in war-torn parts of the world. The first historical evidence is the donation of clothing, yarn, knitting needles, and gauze for bandages to the Red Cross for use by women and children in Belgium during World War I. Margaret Lothrop, daughter of N. S. C. A. R.’s founder, served with the Red Cross during the War. Today members of C.A.R. continue to help children through donations to Ronald McDonald House, DAR Schools, United Through Reading programs and Operation Gratitude. For more information on the history of C.A.R., you may order your copy of Centennial Plus One from C.A.R. Headquarters at hq@nscar.org.